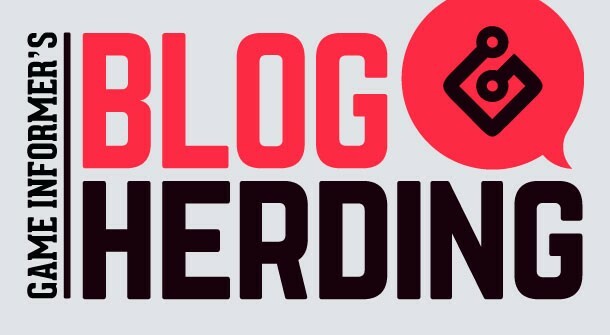 I began chatting with Jeff Marchiafava about doing Blog Herding back in 2013. I just really wanted my life intertwined with Game Informer's. As many of you know, I interned here. I love everything about G.I. I wrote many stories, one for print, went to parties where craft beer was had, and bad games were played. And editor Matt Kato became one of my closest friends, and one I look forward to chatting with every day – even if he supports Manchester City. According to email correspondence with Jeff, it was in January 2015 that we began talking about what this iteration of Blog Herding would look like, and what it would mean when I took it over. There have been so many times where bloggers reminded me just how old I was getting when it came to a past game I played. And now I have this reminder that I did Blog Herding for over three years, beginning on March 26, 2015. It's baffling, rewarding, but also scary. I'm afraid I didn't do enough for all of you. I definitely tried! I hope I did. I absolutely loved playing Rocket League and Monster Hunter with all of you. I loved reading your writing. I absolutely enjoyed becoming friends with some of you and chatting with you about life, games, and what gaming means to us in our lives. And Game Informer has given me a lot. Every single one of you has given me more than I can express – whether it is a reason to check out a game or a conversation on what this crazy life means (it would be remiss not to mention Rebekah Lang's impact on me as a friend). When there was a chance to do Blog Herding, I knew I had to give back to the great community. And not to belabor the point, but you all rock, and I hope I served you well. The new website won't have the ability for blogs to be written. Your blogs will be saved, but I do recommend you back them up if you can. And I implore you to all try and freelance – the range and depth of content on display in this community is astounding. Don't be afraid to grow, and then to shine. Our final Blog Herding has ninjas, foxes amongst the stars, a card game, and eulogies. It's not a regular week, but a good one. A bitter sweet one, but one I'm glad to have been a part of. I just wish I had been here longer. You're all amazing. I actually kept a bottle of a special beer, Alaskan Smoked Porter 2011, in the hopes that I would get a job at Game Informer before its recommended aging length of five years was up. I gave myself a five-year window. To some, I failed, but I made great friends along the way, and I wouldn't change a thing. Except maybe not having an old beer to drink now! That's life, and I hope with the loss of user blogs, you all find a way to continue writing. Looking back at that first Blog Herding... I don't even have the same last name anymore! What a wild ride this has been. Thank you all. See you all later, space cowboys and cowgirls. No – you have dust in your eyes. Plus, I'm allergic to my cat. Yes, the one I named after Shigeru Miyamoto. 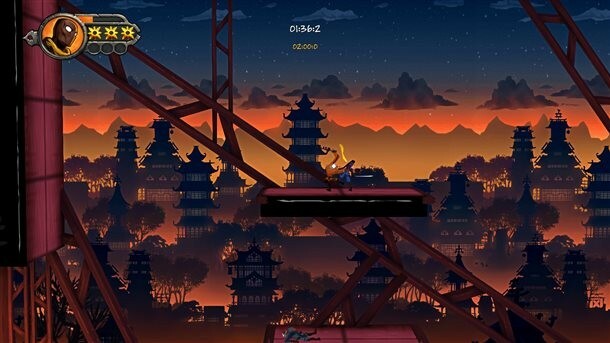 The Zangmaster writes about a fast-paced platformer starring a ninja. That's pretty much all I need to know. While I like to play ninja games more in the style of Tenchu (such an underrated, amazing series), I'm down for just about anything with a ninja in it. Widdowson91 argues that the Nintendo 64 isn't all that great because it doesn't have a lot of great games compared to other consoles. I would argue that a handful of the 64's best games are probably some of the best games ever. It's an interesting blog. What do you think? Gwent Beta: Rule Changes, Loot Boxes, and Trolls, oh my! JillG breaks down the popular Gwent, a card game a good friend of mine won't stop talking about, and one I know nothing about. It's a good read for those interested in trying out the beta, which I finally deleted because I just can't find the time to play it. Plus, I'm more of a Pazaak guy myself. Would A Star Fox Racing Game Really Be That Bad? In a world where gamers want proper Metroid and Star Fox games, Nintendo might give us exactly what we want: a Star Fox Racing game. Err, wait a minute. MightyMagikarp's blog counters the people who don't want to see an improper Star Fox game, instead giving us reasons why this might be a good idea. At this point I would rather see him on a planet filled with dinosaurs again. Writergirl2394 is addicted to speedruns. She breaks down what makes them appealing, like Skyrim's broken world involving horses and flinging oneself. This is definitely one interesting community, and one I would like to explore more. It was hard to include these blogs, but this is what we got with the end of BH near. Dominic Cichocki, who has been an up and coming writer in the blogosphere as of late, reflects on what the platform was able to do for him. This is such a nostalgic post it both makes me happy and hurt. Thank you for being a part of G.I., Dominic. Bjdbuch first wrote a Game Informer blog nine years ago. I had just moved to Alaska and was writng for a newspaper there and trying to freelance and break into the industry. (I actually interviewed with Andrew Reiner and Jeff Cork, I believe, for a job at Game Informer that summer). I ended up getting closer to where Cork grew up than to G.I., but it was a fun adventure! Anyway, bjdbuch wrote a blog back then. At 13. It was short and imperfect, but it was another part of the Blog Herding legacy. "The community gave me a sense of purpose and pride during a time in my life where I didn't have much. Middle school was hell, but I knew that I could always go to GameInformer.com and find people who liked me for the nerd that I was. It was amazing." You're amazing, bjdbuch. JillG "celebrates" the demise of Blog Herding with Darkest Dungeon. It works. Jill may have come to the blog game later on, but her impact was felt. Thank you for sticking with us, Jill! Brendon Curzio beat God of War, and I did not. So, I can't say what all he writes about, but I can say the moments in God of War are *kisses fingers like a chef* – amazing. I can't read this because spoilers, but knowing Curzio, it's good. And knowing God of War, these moments are some of gaming's best. Insane_Buffoon delievers a short and sweet review on why this Super Mario and Luigi RPG is so much fun to play. 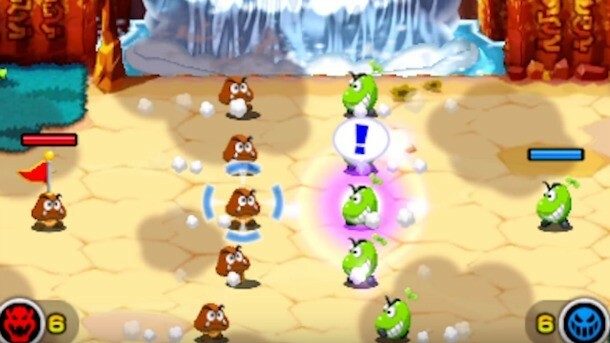 "The biggest new addition is a new separate campaign featuring a tenacious goomba trying to reunite with his beloved leader. The gameplay plays out in a real-time strategic lite style." I have wanted to replay this game on the Gameboy Advance, but I really want to try out the new content. This is it, ladies and gentlemen. The final challenge: What did writing for Game Informer's blogging platform mean to you? What did it do for you? How did it change you?